Today is a day when we can show our museum curators and government representatives how much we value museums. Museums are vital parts of our communities and economy. Did you know that more than 850 million people visit American museums every year? This is more than the number of visitors to all major-league sporting events and theme parks combined. Museums across the country employ more than 726, 000 workers and contribute $50 billion to the economy. While museums enjoy overwhelming support among people, advocacy is needed to ensure that museums continue to receive funding and governmental protections so that they can continue to grow while preserving and teaching about our history, culture, and scientific achievements. Show your support for museum funding by contacting your city and state representatives and by visiting and/or donating to your favorite museum! A lanky young girl enters an art museum and goes right up to an abstract painting of sunlight yellow circles. She says, “When I see a work of art, something happens in my heart.” The painting makes her feel like dancing and leaping, and in front of a painting of a ballerina, the girl lifts up on her toes and raises her arms gracefully. Van Gogh’s Starry Night makes her “all twirly-whirly” and she spins around like the painting’s swirling winds. She sees off-beat sculptures that inspire her to turn upside down and become a human work of art with bent legs and pointed toes. She sits face to face with The Thinker, contemplating “the whos and whats and wheres and whys.” A woman’s abstract face painted in blues makes her sad, while a plate of apples reminds her she’s hungry. Image copyright Peter H. Reynolds, 2013, text copyright Susan Verde, 2013. Courtesy of Harry N. Abrams Books for Young Readers. Through one girl’s trip to a museum Susan Verde celebrates the emotions and dreams that experiencing art can stimulate in visitors. Her jaunty rhymes and conversational rhythm create an atmosphere of active participation for her happy museum-goer as well as for readers, leading them to the realization that not only a canvas, but their life itself, is a unique work of art. Peter H. Reynolds’ fluid, uninhibited line drawings are ideally suited to Verde’s inspirational story. As the girl flits, twirls, and skips from gallery to gallery and mimics the paintings and sculpture she sees, readers’ imaginations will also take off, remembering art that they’ve seen and conjuring up some of their own. Reproductions of famous works of art give younger kids a chance to learn about some pieces of world art and allows older children the opportunity to show their knowledge. A smart and stylish tribute to art museums, the feelings expressed in The Museum are also fitting for any child who finds inspiration in a museum of history, natural science, science, or any discipline. The book makes a beautiful gift, a stirring addition to home bookshelves, and a terrific book to pair with museum trips, art classes, and inspirational story times in any classroom. Discover more about Susan Verde and her books on her website. Every item has a story. Is there a funny anecdote behind that knick-knack on the shelf? Does your favorite serving dish hold sentimental value? A fun and educational way for kids to learn family stories and interact with their own history is to create a museum exhibit of objects in your home. For teachers this can be a fun classroom activity that incorporates writing, art, and speaking, and categorizing skills. Students can use objects in the classroom or bring items from home to set up museum exhibits. This activity can be done as a whole-class project or by smaller groups, who then present their exhibit to the rest of the class. To get started have children gather a number of items from around the house to be the subjects of their exhibit. An exhibit can have a theme, such as Grandma’s China or Travel Souvenirs, or it can contain random items of your child’s choice, such as toys, plants, tools, even the furniture they see and use every day. Using the paper or cards and markers, children can create labels for their exhibit items. Older children will be able to write the labels themselves; younger children may need adult help. Spend a little time relating the story behind each object: where it came from, how long you’ve had it, when and how it was used in the past, and include any funny or touching memories attached to the item. Or let your child’s imagination run free, and let them create histories for the objects. When the labels are finished, arrange the items on a table, shelf, or in a room, and let your child lead family members or classmates on a tour. You can even share the exhibit with family and friends on social media. If extended family members live in your area, this is a wonderful way for your child to interact with them and learn about their heritage. Sewing is one of the most popular hobbies around and has historically been one of the most important industries in this country and around the world. National Sewing Month was established in 1982 to encourage people to learn more about this craft and to try their hand at picking up a needle or sitting down at a sewing machine. To celebrate read up on the history of sewing and the textile industry and consider taking a sewing class or learning on your own. Sewing can be a fun and rewarding activity for adults and children. Pretty soon Raccoon dropped by with a string and beads, and then Rabbit came over with her embroidery, and Pony with the quilt he was stitching. It didn’t take long for almost all of Llama’s friends to join in with their own projects. When Beaver stopped by, he only wanted to make something that was useful. He studied Llama’s long stretch of knitting and wanted to know what it was. Llama hadn’t really thought about it. “She had just been having fun making.” She asked Beaver what he would do with it, but he didn’t know. Raccoon suggested a sail, Pony thought it would make a great rocket, and Rabbit opted for a hot-air balloon basket. But Beaver wasn’t convinced. Beaver wanted something…but what? What would be useful? He decided to do what always helped him think. He gnawed and gnawed and chewed and chewed on some trees while mulling over his options. At last, he and Llama took a break. Beaver’s break turned into a much-deserved sleep, because while Beaver was “‘thinking,’ he had made something special for everyone too.” Suddenly, Llama knew what her “crafty something” was useful for. She slipped a bit under Beaver’s head and covered him with a bit more, and Beaver continued snoozing cozily. Now when Llama and her friends get together for crafting, they love their brand new place to do it in! Mike Kerr’s sweet tribute to the joys of crafting and imagination will delight little artists and makers of all kinds. Thoughtful Beaver and more free-wheeling Llama make good foils—and friends—in this story that introduces a full studio of artistic endeavors as well as different thought patterns that make each person unique. While many of Llama’s friends immediately recognize how to use the “crafty something” they choose, Beaver is more precise, wondering about logistics, practicality, and even safety. It turns out that Beaver is more like Llama than he might think as he also crafts a perfect gift for all of his friends. Renata Liwska’s well-known adorable animals make the cutest crafting companions ever. Llama’s HGTV-worthy kitchen lets the sun shine in on her big ball of wool that’s just waiting to be spun into yarn. As one lovable friend after another joins the crafting party, young readers will be enticed to try all of their arts—from sewing to painting, stamping to terrarium making, basket weaving to needle crafts, and more. Little ones will wish they were in the midst of all the fun as Llama’s friends pick out just the right clever gift for their needs. They’ll want to linger over every page to see how each “crafty something” is used and to catch all of the details. When children spy Beaver’s beautiful pavilion, they’ll understand that giving is an art of its own. For children enthusiastic about making things or who are looking to experiment with their own creative talent, as well as for anyone who is thoughtfully precise, Crafty Llama is an engaging story. The book would be a welcome addition to home libraries classroom bookshelves to accompany art and other creative lessons. Discover more about the art and writing of Mike Kerr and Renata Liwska on their website, RandMCollective.com. 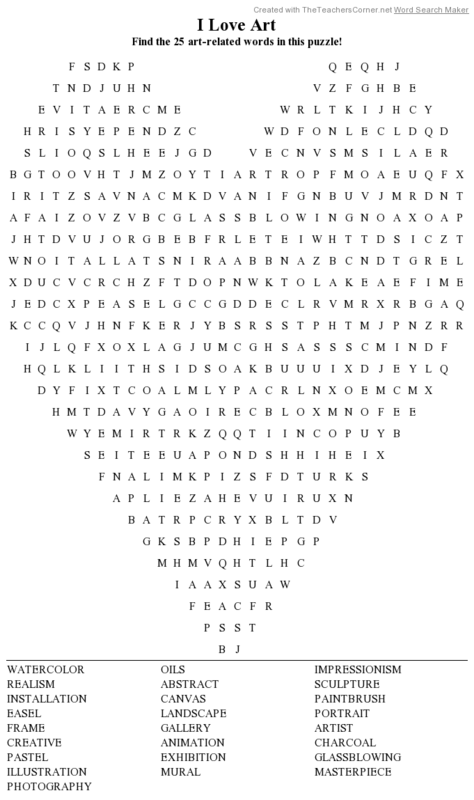 Stitch the letters together to discover the picture in this printable Got You in Stitches Dot-to-Dot Puzzle. From the earliest days of the exploration and settlement of America, artists have been creating works that reveal the beauty, complexity, and meaning of this country and her people. Over the years American artists have developed innovative styles and delved into universal subjects in new ways. This month we celebrate these artists of the past and present who, through their work, make us see the world in fresh ways. Image copyright Eileen Ryan Ewen, 2018, text copyright Lindsey McDivitt, 2018. Courtesy of Sleeping Bear Press. A move to Detroit when she was twelve introduced Gwen to the buildings and people of a big city. In high school, Gwen, now stronger, took mechanical drawing and shop class. Later, in art school, Gwen was introduced to linoleum, in which she carved intricate images for printmaking. Gwen’s dream was to be an artist, but she also knew she needed to earn money to pay expenses. An Author’s Note reveals more about Gwen Frostic’s life and provides a sketching craft for readers. Lindsey McDivitt’s superb biography of Gwen Frostic—an artist, inspiration, and pioneer for career women and the disabled—introduces children to a woman who, through persistence and confidence, lived life on her own terms. McDivitt’s lyrical prose infuses the story with the poetry of nature that Gwen internalized and translated into the art that people continue to admire and seek out. McDivitt’s thorough storytelling and excellent pacing allow for a full understanding of Gwen Frostic’s achievements. Young readers will be fascinated by the life work of this talented and determined artist. Eileen Ryan Ewen captures Gwen Frostic’s strength of character, can-do attitude, and love of nature in her stunning artwork. Full-page illustrations follow Gwen from her beloved Michigan woodlands to Detroit to art school and through her life as an artist and business woman. Images of Gwen carving a linoleum block, sketching designs for new tools as she sits next to a fighter plane and the woman installing rivets, working an old printing press, and greeting visitors at her shop broaden readers’ understanding of the times and Gwen’s work. An exceptional picture book that provides encouragement and inspiration, Nature’s Friend: The Gwen Frostic Story is a must for classroom libraries and would make a positive impact on young readers as part of their home library. Discover more about Lindsey McDivitt and her books on her website. To learn more about Eileen Ryan Ewen, her art, and her books, visit her website. If you love nature like Gwen Frostic did, you’ll enjoy these printable Nature Coloring Pages. It may seem like summer vacation just began, but it’s already time to start thinking about the new school year. The stores are stocked with clothes, supplies, and plenty of gear to make the new school year the best ever. But the stuff of going to school is just part of getting ready. Kids are looking forward—eagerly or maybe with a little trepidation—to meeting new friends, having new teachers, and exploring new subjects and ideas. Making the transition to a different grade easier and exciting is what National Back to School Month is all about. Simon & Schuster sent me a copy of Idea Jar to check out. All opinions are my own. I’m also thrilled to be partnering with Simon & Schuster in a giveaway of a copy of Idea Jar. See details below. On the teacher’s desk sits an Idea Jar that holds her student’s story ideas. The teacher “says a story can be about anything” the kids want it to be. Like maybe “a space robot” or a “horseless cowgirl” or, yes, even that Viking who is trying to hoist himself over the edge of the jar to freedom. See, “there’s no such thing as a bad story idea,” and there are so many ways to tell your story. Image copyright Deb Pilutti, 2018, text copyright Adam Lehrhaupt, 2018. Courtesy of simonandschuster.com. You can even combine your own ideas or make up a story with a friend. And maybe even that Viking in the back of your mind would make a good character too. He certainly thinks so. His motto is “Everything is better with a Viking”—even a giant badger who has lost her pink dress. There is one thing about the Idea Jar, though. “It’s important to create stories for your ideas, or else your ideas get rowdy.” Just look at that Viking, who’s poking…at…the…jar! “Oh no! The ideas!” They’re all loose! Now the robot is shooting his laser eyes and the dragon is swishing its enormous tail and the ideas are running amok! “These ideas need a story. Will you help?” Great! Should we? Should we start with the Viking? What if he gets into a battle with the space robot? Then gets rescued by the dragon? Who’s ridden by the horseless cowgirl! What? You’d like to change some ideas around? Go for it! This is your story, after all! “Wow! You were awesome!” You made all of those story ideas very, very happy. But it’s time that they went back in the jar to meet some other ideas for next time. As the award-winning author of Warning: Do Not Open this Book, Please Open this Book, This is a Good Story, and many others, Adam Lehrhaupt knows a thing or two—or three—about corralling ideas into a story. By appealing directly to students and any story creator, the narrator of the madcap Idea Jar will excite kids to pay attention to the ideas rattling around and flashing through their minds and inspire them to write, draw, or tell their own stories. The persistent Viking, who gives story suggestions throughout the book and nudges the story along, will delight kids and can serve two purposes for teachers or other writing coaches. With his infectious enthusiasm, the Viking is that great idea that knocks at your consciousness until it is used. His whispered recommendations may also remind writers and artists of that little self-editor who so often can keep great ideas from running free. Learning to manage both of these is what great storytelling is all about. As the Viking sails into the classroom portrayed in the book, kids will jump at the chance to turn on their imaginations and give him—and their own characters—a story full of suspense, humor, and unexpected twists and turns. Image copyright Deb Pilutti, courtesy of simonandschuster.com. As a space robot rockets from the Idea Jar, a horseless cowgirl lifts herself over the edge, and a big, scaly arm reaches from within to pull out the words “dragon” and “giant,” kids will be instantly invested in these characters without a story…yet. Deb Pilutti’s vibrant and dynamic illustrations show the creative process in action, whether a child’s talent lies in writing, drawing, or even reciting ideas aloud. The crafty Viking makes a frequent appearance—just like any good idea does—to prod the ideas in the jar (including the horseless cowgirl, the space robot, and the dragon as well as a pirate, a unicorn, a giraffe, a monster, and various animals) to unleash their inventive power. As the story comes together, the students and teacher cheer as they see their creation come to life. Kids will love answering the call to create a story and interacting with the ideas in Idea Jar. Idea Jar is infused with the natural spontaneity and inventiveness of children’s imaginations, making it a winner for jump-starting writing or art lessons in classrooms and inspiring creativity at home for kids and adults. Discover more about Adam Lehrhaupt and his books on his website. To learn more about Deb Pilutti, her books, and her art, visit her website. Today I’m excited to talk with author/illustrator Deb Pilutti about her new book Idea Jar with Adam Lehrhaupt, her branding work inspired by vintage signs, and the old Creepy Crawlies Thingmaker, a toy which I was surprised and delighted to discover we both loved as children. Readers will love the way the characters interact with each other and with the kids writing and drawing stories in Idea Jar. Can you describe your journey from when you first received Adam Lehrhaupt’s manuscript for Idea Jar to the finished book? I am a fan of Adam’s Warning: Do Not Open this Book! so I was quite excited when Paula Wiseman at Simon & Schuster asked me if I would like to illustrate IDEA JAR. Who wouldn’t want to illustrate a book with a Space Robot, a Viking, a cowgirl and a Dragon as the main characters? Adam left a lot of room for me to play. He did not specify what the other ideas in the jar would be, only the characters he had written into the text. It was fun to develop additional characters and their relationships and mini-side stories, like the developing friendship between the Yeti and the small dog, and the mouse driving a race car. Kids’ imaginations are always so full of possibilities, and they can make such funny and amazing leaps of character and plot. What are some steps you’d give young writers and illustrators for capturing those snatches of imagination and developing an idea into their own story? Keep a journal. I have several that I write or doodle in. If there is something I find interesting, like an idea or a character, I go back to it and try to work out a story. I start by asking questions of the character or situation. What would happen if… type of questions. Your branding work for Sea World, Warner Brothers, artists, food trucks, and more are infused with such a fun vintage vibe. Do you have a favorite decade to draw design ideas from, and why? I absolutely love vintage signage and type from the 50s and 60s. Some of it is so campy while others can be evocative or elegant. The colors used were bold and saturated. Before you began illustrating and writing for children, you designed toys, and in your recent release The Secrets of Ninja School, the main character makes dragon stuffies for all of her classmates. Why do you think playing with traditional toys is so important for children? What was your favorite toy when you were a child? Mostly because it’s fun. I also think it’s a way to navigate the world, but that isn’t something I thought about as a child. When I was young, I loved making Creepy Crawlers, which was an incredibly dangerous toy at that time. You pored possibly toxic goop into a metal mold and cooked it in a blisteringly hot ThingmakerTM oven, which resulted in many scorched fingers. But totally worth it, because once the plate cooled, you would have an army of colorful and stretchy bugs. My cousin is a graphic designer and whenever I visited her as a child I loved seeing her special corner of the house. It was so full of color and knick-knacks (inspiration, really, I guess) and works in progress, that I developed a fascination with artists’ studios. Do you mind describing your work space a little? What is your favorite thing in it? My studio is in a small bedroom. I have a long table with a computer and extra monitor set up on it, and I sometimes sketch here as well. A painting easel is in the corner of the room. It’s a very messy place, with papers everywhere and knick-knacks and toys and bits of shiny things on every surface. I like all of my toys, but my favorite one is a realistic toy model of a T-rex with a moveable jaw. 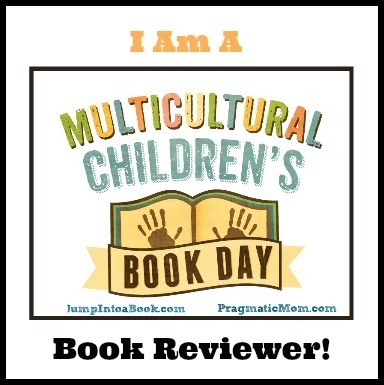 What’s the best part of being a children’s illustrator and author? I have always loved books. To be involved with the art of bookmaking is a wondrous thing. My favorite part of the process is making the final illustrations. Do you have any anecdotes from a reading or event that you’d like to share? I was visiting a school last April and had a blast creating stories with the students using an Idea Jar. We made some pretty silly stories together. One student came up with a zombie tomato for a character, which was brilliant! I’m currently working on final illustrations for two books. The first is Old Rock (is not boring). A story about a rock sounds like it could be boring, right? At least Old Rock’s friends think so. Old Rock reveals her own surprising story, slowly and languidly, as rocks do. I’m also illustrating a sequel to Ten Rules of Being a Superhero. It’s called Ten Steps to Flying Like a Superhero. I had so much fun with the characters from the first book that they are back for another adventure. Lava Boy’s superhero toy, Captain Magma, wants to fly more than anything. They devise a plan, which does not go as anticipated. Summer Solstice. I live in Michigan, which is quite lovely, but the cold and dark of winter can get a bit old. I miss the light. Our summer nights are very long. On Summer Solstice, I try to stay outside until the last vestiges of daylight disappear at around 9:45. Has a holiday ever influenced your work? Yes, I illustrated The Twelve Days of Christmas in Michigan, illustrated by Susan Collins Thoms. Thanks so much for chatting, Deb! I wish you all the best with Idea Jar and all of your books! If you have lots of ideas looking for a place to hang out, discover how to make your own Idea Jar and find some cool starter ideas from Adam Lehrhaupt! Make your own IDEA JAR! Do your kids (or maybe you!) want to think up awesome story ideas? Check out Deb Pilutti’s 5 Methods of Generating Story Ideas! Kids love going to restaurants that provide a fun placemat and crayons to color with while they wait. But what happens to those crayons when the meal is over? Most times they’re thrown in the trash with the napkins and straws and other items left behind. Wouldn’t it be great if those gently used crayons could go on to be used by other kids at schools that can’t afford such supplies? They can! Begun by Crayon Collection, National Crayon Collection Month encourages restaurants, hotels, and other organizations that provide free crayons to collect the ones left behind and donate them to under-serviced schools. As school arts programs are threatened with budget cuts, these important supplies can make a big difference in the lives of students. The ability of children to express their creativity is a crucial part of their education and growth. You can get involved too! To learn how you can make an impact, visit CrayonCollection.org. Or look into donating crayons (and other supplies) to a school in your area. One day, as Duncan and his crayons were creating something together, Duncan received a mysterious package of postcards. The first postcard Duncan read was from Maroon Crayon, who, it turned out had been marooned in the couch, broken in half when Duncan’s dad sat on him, and then “nursed back to health” by paperclip. Now ready to rejoin the pack, Maroon Crayon was asking to be rescued. Image copyright Oliver Jeffers, 2015, text copyright Drew Daywalt, 2015. Courtesy of Philomel Books. The next postcard brought distressing news from Pea Green Crayon, who feeling unloved, had changed his name to Esteban the Magnificent and was “running away to see the world.” Neon Red Crayon was feeling similarly dismissed and was writing—with a bit of well-earned pique—from the side of the pool at the Ritz Motel. “REMEMBER that great vacation we had with your family? Remember how we laughed when we drew a picture of your dad’s sunburn? Remember dropping me by the hotel pool when you left? Clearly you do NOT, BECAUSE I’M STILL HERE!” Still, Neon Red Crayon was taking it upon herself to walk home. Up from the basement comes a postcard from Glow in the Dark Crayon, who was abandoned there last Halloween after Duncan used him to draw scary stuff on the wall. He just wants to be brought into the light because he’s “kind of … terribly … horrified ….” Meanwhile, Esteban has reached the front door, seen that the world is rainy, and has decided to return. An instant classic, Drew Daywalt ‘s and Oliver Jeffers’ sequel to the equally loved The Day the Crayons Quit, The Day the Crayons Came Home is a laugh-out-loud look at life as a forgotten crayon. As given voice by Drew Daywalt, these crayons, with personality, attitude, and some legitimate gripes, make hilarious champions for any story time. Daywalt’s selection of colors and mishaps is inspired, and his recurring characters, Esteban and Neon Red Crayon, add just the right touch of silly cluelessness as they wax poetic. From the first glimpse of Maroon Crayon facing the indignity of being sat upon and emerging from the wreckage with a full beard, tattered paper, and paperclip bandage, kids will be hooked on the lives of these misplaced, misused crayons. Each crayon’s expression reveals the personality and predicament of these little heroes. Vintage postcards and crayon-drawn backdrops add to the distinctive look of this very original story in letters. A page of glow-in-the-dark drawings and text will have kids running for the nearest closet or dark corner to check it out, and the final reveal of the crayons’ new home will inspire readers to create one of their own. A colorful, creative addition to any home or classroom library, The Day the Crayons Came Home (and its companion The Day the Crayons Quit) will be asked for again and again…and again. Discover more about Drew Daywalt and his books on his website. To learn more about Oliver Jeffers, his books, and his art, visit his website. With this cool project you can create an art piece that’s as colorful as a rainbow and as unique as you are! Adult help is needed for children. Set up a space to melt the crayons. The wax will fly, so protect the floor and walls by placing the art piece in a large box or hanging newspapers, old sheets or towels on the walls and placing newspapers on the floor. A trifold display board and newspapers works well. Hang or display your art! Created in 1946, the International Council of Museums established International Museum Day in 1977 to institute an annual event highlighting museums as “important means of cultural exchange, enrichment of cultures and development of mutual understanding, cooperation, and peace among peoples.” The day also aims to unify “the creative aspirations and efforts of museums and draw the attention of the world public to their activity.” Each year a theme is chosen to spotlight a relevant issue. This year’s theme is “Hyperconnected Museums: New approaches, new publics.” With today’s technology, museums have many more ways to share their exhibits and reach new audiences. Museums are also turning their attention to their local diverse communities, creating projects in collaboration with minorities, indigenous peoples, and local institutions. To learn more visit the International Council of Museums website! To celebrate today’s holiday show your support for museums by visiting and/or donating to your favorite museum! Going to a museum is a terrific family outing! 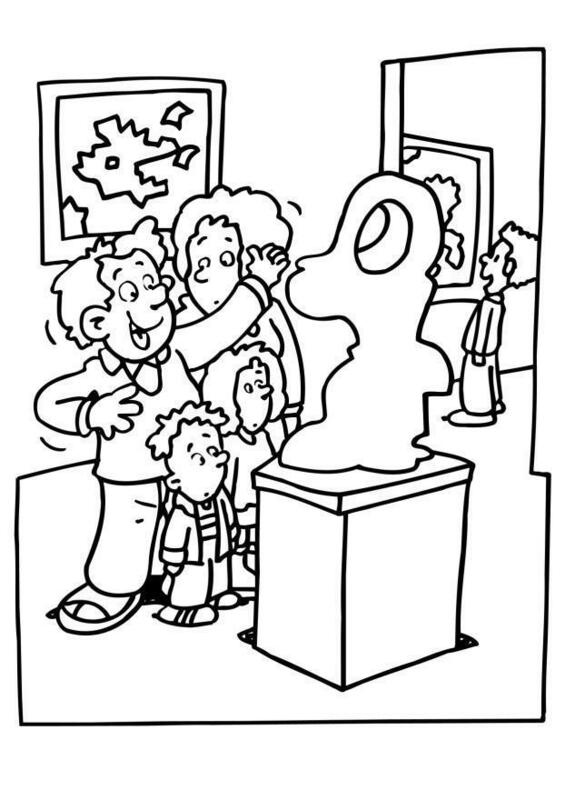 Here’s a printable Museum Exhibit Coloring Page for you to enjoy!